eMerchantBroker.com specializes in merchant accounts developed specifically for gaming and casino companies. With app-based games being integrated with smart phones, credit is the natural payment method for this industry. The global media and entertainment market, which includes online casinos and gaming, is projected to grow worldwide to $2.14 trillion by 2020, according to the statistics portal, Statista. As an important and ever-developing market, online gaming has exploded over the years and is expected to continue to gain in popularity. Data shows that global online gaming traffic alone is expected to climb from 126 petabytes in 2016 to 568 petabytes in 2020, proving people plan to keep the games going. This year, the world’s two largest gaming regions, North America and Asia Pacific, are expected to account for 78% of global revenues. Massively multiplayer online gaming (MMO), which includes games that can be played by hundreds and sometimes, thousands of players at a time, generated $19.9 billion in 2016. Though all signs show that online gaming and casinos are lucrative businesses, many traditional financial institutions won’t take a gamble on them. The industry’s background and history, high chargeback ratios, and potential legal issues due to ambiguous laws keep banks away from these merchants. To process credit card payments effectively and efficiently, businesses need to turn to eMerchantBroker.com (EMB) to obtain a casino and online gaming merchant account. Specializing in providing high-risk merchant accounts for social gaming, MMO, and online casinos, EMB offers customized payment processing solutions for all types and sizes of companies. To begin the process, apply online now. Merchants can get approved for a casino and online gaming merchant account in as little as 24 hours. Once approved, EMB can set up chargeback management tools and a payment gateway. Also, a fraud filter also can be set up for online payments. In addition to the businesses mentioned here, EMB works with new and existing businesses, merchants rejected or terminated by another credit processor, as well as those with bad credit or a history of excessive chargebacks. EMB can’t guarantee any approvals, but it does promise a simple, streamlined application process. Merchant accounts are approved within 24 to 48 hours. When casino and online gaming businesses apply for merchant accounts, processors and underwriters want to see that they are running legitimate, reputable businesses. During their review, underwriters look at many factors to ensure credit card processors are not taking on any unnecessary risk. Merchants that are considered high risk means processors are taking on a greater potential financial burden. The best way to prepare for the review is to have a principal in the business with a good credit history apply for the account, pay any outstanding debts, and have some money in the bank. Before the review is the time businesses need to take care of anything that looks questionable. Taking these steps likely will increase a business’ chances of getting a casino and online gaming merchant account approved with fewer restrictions, such as caps on higher processing volume or a lowering rolling reserve. Online gaming and gambling is risky because the industry falls into a legal gray area. Though there are no federal laws that prosecute online gamblers, the Unlawful Internet Gambling Enforcement Act of 2006 states that no person or entity may knowingly accept any funds associated with a person participating in illegal online gambling. Since the law states that a party cannot “accept” funds, this has no real consequence for an actual gambler. Since the law prevents gambling merchants from legally accepting wire transfers, merchants need companies, like emerchantbroker.com (EMB), to process credit card payments. There are no provisions in the law, stating players would be punished for gambling online or transferring funds to pay for bets. The state level is a completely different story. Each state in the United States treats online gambling differently. Some states, like Delaware, have legalized regulated online gambling, some have conditionally legalized it, like Nevada, and others have outlawed it, like Louisiana and Iowa. Iowa has the strictest online gambling laws on the books. Depending on the amounts of bets exchanging hands, a violator can be charged with a felony. Nevada permits online poker at state-licensed sites but prohibits anything else. Though online gaming has become a major, profitable component of the gambling industry, many banks consider them way too risky. Casinos and online gaming businesses are prone to excessive chargebacks and refunds and have a higher volume turnover. These increase the liability the processor likely will incur when processing credit card payments for the business. Also, online gambling get hit with lots of friendly fraud. This is when customers dispute a transaction because they changed their minds. Their credit cards weren’t stolen. They just decided they didn’t want to pay for the services. Due to laws in the United States, many online gambling businesses are based offshore, and there have been reports of money laundering and fraud. Since they are abroad, it is more difficult to keep track of the dollars, and therefore, increasing the risk to processors. Though the casino and online gaming industry is growing in leaps and bounds, many of the businesses are new and have little or no experience and credit history. A lack of credit or poor credit boosts the chances that a business won’t be able to pay back any of their debts to a bank or merchant account provider. This also leaves processors taking on greater financial risk. Processors have a take it or leave it attitude when it comes to excessive chargebacks. Credit card processors are quick to terminate casino & online gaming merchant accounts when businesses can’t maintain low chargeback ratios. Merchant account providers don’t want to be responsible for funds that casinos and online gaming businesses can’t cover. Excessive chargebacks also can hurt the relationships that credit card processors have with their sponsor banks and credit card brands, like Visa or American Express. Credit companies can fine credit card processors that continue to process purchases for businesses that have high chargebacks ratios. Any revenues that credit card processors earn from casino and online gaming merchant accounts aren’t enough for them to risk their relationships or any high fines. Chargebacks are costly. Businesses are gambling with their casino and online gaming merchant accounts if they don’t implement ways to avoid chargebacks. Credit card processors can terminate the merchant accounts of businesses that that have more than 3% chargeback ratios. Once they have been terminated in the past by processors, it is very difficult for a merchant to get approved another time. Merchants need to ensure they are using secure channels to prevent abuse by customers. Details of every transaction should be recorded, archived, and easily retrieved when necessary. Security steps should be taken to ensure that the exact date and time of the transaction, as well as the IP address of the computer from which the purchase was made is known in case there is a dispute. This information can be used to fight a dispute. Despite all of this, businesses should train customer service representative to offer full refunds immediately to dissatisfied customers. When merchants look at their businesses, they often find out that refunds are more cost-effective than excessive chargebacks. Since many chargebacks in this industry are due to customers failing to recognize the name associated with the charge on their credit card statements, it is up to merchants to make sure customers know how the purchases will show up on their bills. Clearly displaying business names and contact information on all emails, websites, promotional material, and receipts are perfect ways to prepare clients for what they will see on their credit card statements. Additionally, sending an automatic email receipt once a transaction is complete and/or a customer satisfaction survey are other smart moves to avoid chargebacks. Letting customers know that merchants want them to be pleased with their purchases can mean a lot to them and provides another opportunity to remind clients of purchases. In the case of online gambling or gaming, it also is a good way to bring them back to a site to make another purchase. Most times, poor customer service, a lack of transparency and communication, and a flawed business model are the causes of excessive chargebacks. Offering full refunds, communicating with patrons, and having a skilled customer service team are easy ways to keep chargeback ratios below 2% and keep a merchant up and running. Whether chargebacks are won or lost, they hurt merchants. Therefore, businesses that actively work to prevent chargebacks are setting themselves up for failure and damaging their abilities to conduct business in the future. Merchants that don’t maintain ratios below 2% can have their casino and online gaming merchant accounts terminated by processors. Using a chargeback mitigation program, like the one offered by EMB, is one of the best ways to avoid a significant number of chargebacks. 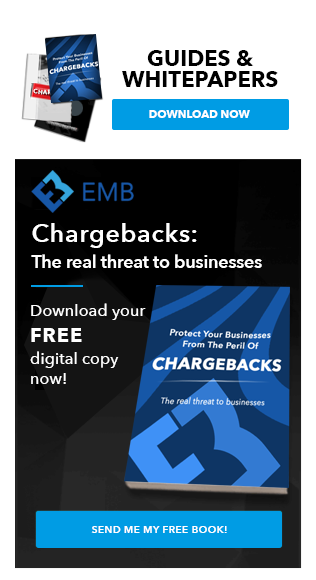 EMB’s chargeback mitigation program can cut a business’ chargeback ratio by one-fourth. 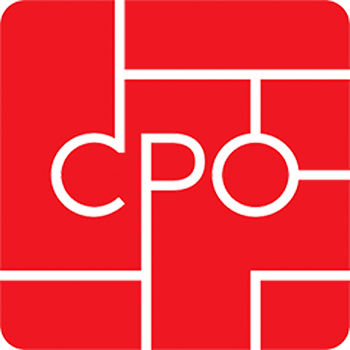 This means four out of every 12 potential chargebacks can be mitigated by using this program. EMB’s elite alert and chargeback prevention system was created specifically for high-risk merchants, such as online gaming and casino businesses. EMB partnered with Verifi and its new Cardholder Dispute Resolution Network (CDRN) and Ethoca’s alert system to provide businesses with a system that allows businesses to resolve credit card transaction disputes directly. It works because CDRN works directly with card issuers and banks, allowing merchants to achieve the highest rate of chargeback resolutions. The United States and other countries, including the United Kingdom, assigns four-digit numerical Standard Industrial Classification (SIC) codes to businesses, identifying their primary purposes. Casino and online gaming merchants exclusively fall into the 7999: Amusement and Recreation Service, Not Elsewhere Classified SIC code. Quit playing the conservative game with banks and traditional merchant providers. Get a step ahead with a merchant account from eMerchantBroker. We have the capabilities to offer merchant accounts for casinos and gaming. This underscores the necessity of having a high volume merchant account set up and ready for your gaming company. Apply today and we can have your casino and online gaming merchant account set up in as little as 24 hours with limited application restrictions. Gambling may be the epitome of high risk, high reward. It comes as no surprise to anyone that given the nature of the industry, banks back away from providing merchant services for online casinos. Further deterring the traditional merchant service providers is the inevitable high rate of chargebacks and disputes. If your casino and gambling business can maintain a chargeback rate lower than 3% than eMerchantBroker can promise you a merchant account that can be tailored for either your high ticket or your high volume need. Specialized merchant accounts depending on your transaction patterns will ensure your electronic payment processing to me smooth and efficient. Let the good times roll and apply today, we can have your merchant account set up in as little as 72 hours. To get approved for a casino and online gaming merchant account in 24 hours Apply here or call 1-800-621-4893. If you need to expand, hire new talent, or get more inventory to fulfill orders, Cash Advance and ACH Business Funding is the right choice for you. Stop saving, and start using your new funds to push your business forward.